Description: Working functions include: start up, fast forward, skip ahead, pause, back skip, and rewind; 200-foot range, compatible with all portable MD equipment (the portable's wired factory remote is surrendered and incorporated into the Majiloon wireless remote). Volume control is possible through programming of buttons. 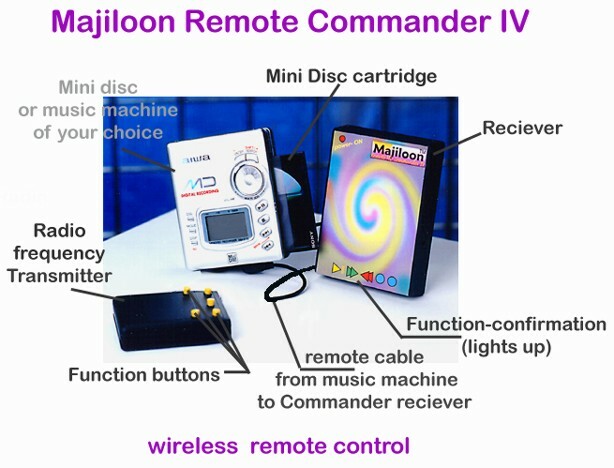 Links: Majiloon's description page for this remote.